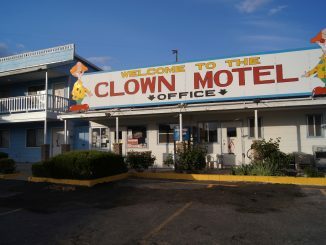 Las Vegas, Nevada is known for the opulent nightlife, wild parties, cutting edge restaurants, live shows, and of course the neon signs marking the path to all these things. The Neon Boneyard houses more than 200 historic signs documenting the history of the oasis in the desert. Each of the signs on display helps to tell the story of the constantly evolving neon landscape that makes up part of the rich history of Las Vegas’ past. As technologies and styles change the old signs have a way of making their journeys end at the Neon Boneyard that serves as a living museum, a business, and a popular roadside attraction. 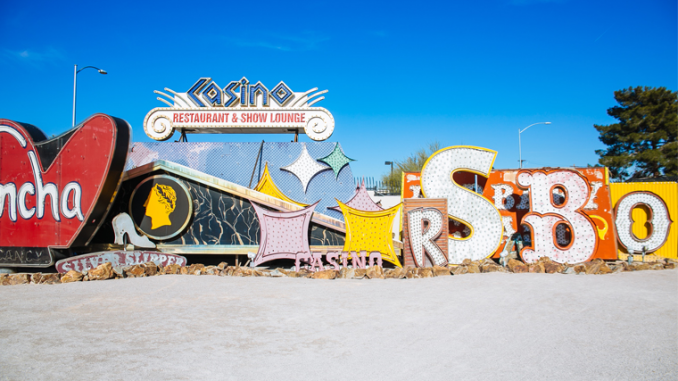 With signs dating back to the 1930’s and the beginning of the Las Vegas we all know and love, the Neon Boneyard offers guided tours and often serves as a backdrop for weddings, films, photographers, and social events. Nighttime tours cost more than daytime tours but they are the way to go. Show up on time. If you are more than 20 minutes late there is a chance that you will not only lose you opportunity to take a tour, but you will not be refunded the cost. Late night tours are offered Friday, Saturday, and Sunday, and they cost the most. Book tours in advance online as they sell out and the venue is often closed for private events. If you have children in tow, the daytime tour is highly recommended. There is broken glass and rusty metal everywhere that might not be super safe for young children (10 years and up is recommended for day tours, and 12 and up for evening). Tours can be booked online here.